OPPO has been making selfie smartphones from quite a while now for masses in India. The company's F Series product portfolio comes in an attractive design, offer good overall camera performance and also flaunts vibrant displays. It is the underlying hardware, and software (to some extent) that the F series handsets often struggle with. But the fact that OPPO F Series is mostly targeted to offline consumers who consider the above-mentioned features as their primary requirements from a phone, the strategy is working quite well for OPPO. The latest handset in the company's F-Series- OPPO F11 Pro goes one step ahead and introduces the latest mobile innovations to mid-range price-point. These include Pop up selfie camera, Full-screen display, VOOC fast charging and the massive 48MP rear camera sensor which is gradually becoming a mainstream feature in the sub 30K price segment. These innovative features make F11 Pro a solid proposition for a mid-range device, however; the smartphone also has some shortcomings. OPPO F11 Pro does not feature a Type-C port and the camera cannot record videos in 4K resolution even though there's a massive 48MP sensor. Moreover, OPPO F11 Pro is backed by MediaTek P70 CPU which can also be seen on the Realme 3 budget handset. Priced at Rs. 24,990, OPPO F11 Pro is now available on Flipkart, Amazon.in, Paytm, Snapdeal and OPPO stores across the country. OPPO F11 Pro rivals Vivo's latest V15 Pro which also boasts an elevating selfie camera, full-screen display, 48MP triple-lens camera setup and even an in-screen fingerprint scanner at a slightly higher price-point of Rs. 28,990. We have already reviewed the Vivo V15 Pro and today we are going to focus on OPPO F11 Pro in our review. Let's find out what OPPO F11 Pro has to offer as a daily driver. OPPO F11 Pro is probably the best-looking handset in the sub 25K price-point. The smartphone not just looks striking but also feels very premium in hands. OPPO F11 Pro comes in two unique gradient color shades- Aurora Green (dual-tone shade) and Thunder Black (triple-color shade). Both the shades look eye-catchy and the color scheme offered by OPPO is clearly the best-looking gradient pattern in the market. The smartphone rests comfortably in the palm as there are no sharp edges or corners to affect the ergonomics of the handset. The unibody design of F11 Pro combined with the edge-to-edge screen form factor (with no notch) creates a seamless design that instantly grabs the attention. The rear panel of the phone follows a symmetrical design wherein the dual-lens camera setup, fingerprint sensor, and the OPPO branding are placed vertically in the center. Moreover, the highlight design element of OPPO F11 Pro, the 16MP elevating camera module is also placed in the center of the top edge to maintain the aesthetics. The upcoming OnePlus 7 will follow the same pop up camera placement. We have recently reviewed the V15 Pro which places the elevating camera module on the right corner of the top edge of the phone. The microUSB 2.0 port (a bummer), mic, 3.5mm headphone jack, and the mono speaker unit are placed at the bottom. The power button is placed on the right side along with hybrid SIM card tray. The volume rockers are placed on the left edge and offer good clicky feedback. Overall, OPPO F11 Pro is another captivating smartphone from the company with the looks and in-hand feel that no one can complain about. OPPO has used an LCD screen on F11 Pro which means the in-screen fingerprint scanner is out of the picture. The fingerprint scanner is placed at the rear panel under the dual-lens camera setup. In comparison, Galaxy A50 (Rs. 21,999) sports an AMOLED display offering an in-screen fingerprint scanner but you will find a tiny waterdrop notch at the top. Vivo V15 Pro which is priced at Rs. 28,990 also sports an edge-to-edge AMOLED panel housing an in-screen fingerprint scanner. The display on OPPO F1 Pro measures 6.5-inches and come in Full HD+ resolution. The LCD screen without a notch takes up the entire front. The 19.5:9 aspect ratio screen offers a resolution of 2340 × 1080 pixels translating into 397 ppi. Video playback and gameplay is very immersive as you get an uninterrupted viewing experience. By default, the display shows slightly cooler colors creating a bluish tint but you can change the color tone within the display color temperature settings. The LCD panel is fairly bright but lacks AMOLED panel's vibrancy in colors that can be experienced on AMOLED panels. Nevertheless, OPPO F11 Pro is still the best handset for multimedia playback in sub 25K price segment because of its seamless full-screen design. Let's talk about the F series' signature feature, which in F11 Pro's case is the 16MP sensor working on 1.0µm pixels and an f/2.0 lens. Before we start talking about the picture quality and the additional software features of the front-facing shooter, let me tell you that the 16MP sensor does not support autofocus and there's no LED flashlight support as well. For a handset touted as the top-notch selfie smartphone in the series, OPPO F11 Pro deserved to have these two hardware benefits. Having said that, the camera is able to quickly lock the face while taking a selfie and you can use the screen flash feature to brighten up selfies in low-light. For some users, the screen flash is a better alternative than the LED flashlight which can be very harsh on your eyes in low-light. What do you prefer? Screen flash or LED flashlight or both the features with an option to choose one according to your needs? As far as picture quality is concerned, the 16MP selfie camera delivers images with good details and accurate colors. In comparison, the 32MP selfie camera on Vivo V15 Pro captures warmer color tones but have comparatively brighter and livelier selfies. Images captured by OPPO F11 Pro show very good dynamic range in an outdoor environment during ample daylight. Sharpness is brilliant and you also get auto HDR when the sensor is subjected to uneven bright lighting and shadows. Sadly, it's not as effective as AI Backlight HDR on Vivo V15 Pro. Bokeh is also not 100% perfect as the effect is achieved by software algorithms. The edge detection is pretty intensive and not always at point. OPPO has added a pretty feature rich Beautify mode that allows you to alter various features of the human face to get that perfect selfie. You can smoothen your skin, make your face look thin, small, adjust the shape of your chin, make eyes look bigger and nose smaller. In short, this phone has everything that today's selfie lovers would want to see on their smartphones in terms of software features that some third-party apps have to offer. Is Pop up Camera setup durable enough? As far as the selfie camera module's durability is concerned, OPPO claims that the pop up mechanism is quite tough to sustain a good amount of pressure on top and sides. The company has also added a nifty trick to prevent damage to the elevating camera in case the phone falls on the ground. As soon as phone senses a sudden shift in the gravity, the pop up camera module retracts back into its safe spot. It's a clever technique to safeguard the elevating mechanism that Vivo could have also implemented. Let's see what OnePlus has in store with the OnePlus 7 that is also expected to sport a similar pop up camera setup. For the rear camera, OPPO F11 Pro boasts a dual-lens setup featuring a 48MP primary sensor aided by a 5MP depth sensor. The camera setup supports phase detection autofocus (PDAF) and works on brighter f/1.7 aperture. The fairly easy-to-use camera app offers all required features such as Slow-motion, Time-lapse, Auto HDR, Video, Portrait, Panorama, Manual mode and also comes with Google Lens integration. OPPO has also added a new Night mode and Chroma boost mode (Dazzle Color) which was recently seen in Realme 3. The rear camera maxes out at 1080p video recording and does not offer 4K video recording. Redmi Note 7 Pro selling at a starting price of Rs. 14,990 supports 4K video recording and also features a 48MP rear sensor. The rear camera on OPPO F11 Pro utilizes Quad-Bayer technology to combine four adjacent pixels into one to form a crisp 12MP shot in default mode. The images look crisp, vibrant and show punchy colors. Dynamic range in daylight shots is impressive, especially if you are taking shots on a bright sunny day with a wide color palette in the frame. The bokeh shots look pleasing but edge detection is pretty harsh when you frame a human subject. What's good is the AI Scene detection. The camera's software is pretty intelligent to recognize various scenes and make the required settings to offer the best possible image output for a particular type of scene. Besides, the Slow-motion and Time-lapse shots look impressive and the 1080p videos also look crisp. The camera offers EIS to stabilize the video output but as it is achieved by software, results are not very stable. Talking about the difference in the image quality of pictures shot in 48MP mode and 12MP standard mode, the difference is negligible to naked eyes when seen on the phone's display. What differentiates the 12MP shots and 48MP shots is the amount of details. The phone allows you to zoom in more on the 48MP pictures, thus allowing you to see more details in the images. The 48MP shots also show slightly better contrast as compared to standard 12MP pictures. There's no other significant difference in images shot in two different resolutions. The above image is a 48MP shot. Overall, if you don't plan to take large printouts of the pictures you capture, 12MP shots will suffice. It is also worth mentioning that the additional features such as Chroma boost, Night mode, HDR, AI Scenes and even basic feature like Zoom in and out will not work with 48MP camera mode. So, the tradeoff of using 48MP mode is very less in real-life scenarios. The newly added Night mode is touted to offer brilliant low-light shots. This is achieved by Tetracell technology which in theory analyzes and combines the data acquired by four adjacent pixels to form a single pixel of size 1.6μm. The size of the photosensitive pixels is doubled to shoot brighter and low-noise night portraits. In real-life, you do get brighter shots but details are suffered a lot. In real life, the pictures captured in Night mode bring out more information in the frame. The areas which appear dark, for instance, buildings with no lights and sky at infinity are made brighter by long exposure treatment. In some cases, the images lose contrast and also show softer details which spoil the overall look and feel of the shot. It seems a layer of light just clouds the overall image making individual pixels bright yet less lively. During my first impressions of the F11 Pro, I compared some night shots with the Redmi Note 7 Pro which also offers a dedicated Night mode. The same shots captured on Xiaomi Redmi Note 7(Night mode) showed better sharpness, contrast and less overall loss in the details. Moreover, the Redmi's sensor has a better control over light leaks from the originated sources than the F11 Pro. OPPO F11 Pro is backed by MediaTek P70 octa-core CPU, which we have recently tested in the sub 10K Realme 3 smartphone. The chipset is aided by 6GB RAM in OPPO F11 Pro. The octa-core MTK Helio P70 CPU works on 4x A73 cores clocked at 2.1GHz and 4x A53 cores running at 2.0GHz. The CPU is faster than the MTK P60 but uses the same Mali-G72 MP3 graphical processing unit. Thankfully, the version of Mali-G72 GPU on F11 Pro is slightly faster than the version used by MTK P60. OPPO F11 Pro also comes integrated with the company's Hyperboost technology. In theory, HyperBoost allows the F11 Pro to make the best use of available hardware resources for a lag-free user experience. It maximizes hardware utilization to offer better gaming performance, faster app loading, smoother animations and better memory management for a lag-free Smartphone experience. In real-life, the difference is hardly noticeable as the F11 Pro's performance is largely similar to other smartphones, especially the Galaxy A50. The app-loading times and UI navigation speed is quite similar to Samsung's One UI. And just to give you a clear picture, the user interface on OPPO F11 Pro and Samsung A50 is not as snappy as the user interface on Xiaomi's Poco F1 and Vivo V15 Pro. I should not compare the F11 Pro with these handsets (Galaxy A50, Poco F1, and V15 Pro) as they work on different chipsets but as they fall in similar price-brackets, the comparison has to be made. To better judge the performance, I used the F11 Pro with Vivo V15 which also works on MTK P70. Vivo's device still feels faster than the OPPO F11 Pro during basic operations like app loading, multitasking, web browsing, camera, etc. The problem is not with the MediaTek's chipset. It is the underlying software skin that slows down the overall software response on the OPPO F11 Pro. In terms of synthetic benchmarks, OPPO F11 Pro scored 8036 in Pc Mark 2.0 - Work, which is better than the Vivo V15 Pro. The V15 Pro achieved a figure of 7505 in the same test. As far as gaming and multitasking performance is concerned, the smartphone did not give any major reasons to complain. Games running in full-screen mode created an immersive gameplay experience but graphically intensive games like Asphalt 9 did show some jitters. It is also worth mentioning that PUBG ran in Medium settings by default on F11 Pro. On the other hand, Redmi Note 7 Pro which is priced at Rs. 14,999 ran PUBG in higher settings by default. Videos streamed in 1080p over YouTube and native apps also look really immersive. What’s new in ColorOS 6? OPPO F11 Pro runs on the new ColorOS 6 based on Android 9 Pie. As I have mentioned in my first impressions of the smartphone, the biggest change in the new skin is the inclusion of an App Drawer. 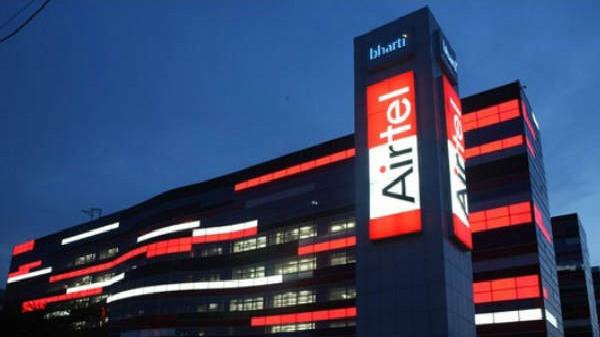 You will also get to see a new Smart Assistant screen, redesigned notification panel, bright color schemes and new fonts for more visually appealing user experience. The OS also has a Gamespace suite to enhance the gameplay experience on the device. Face recognition is also incorporated and it's really fast. You can enable Slider panel to add most used app shortcuts in everyday use. Besides, new gestures and ‘Application Quick freeze' have been added to further improve the overall software user experience of the phone. Overall, the new UI is eye-catchy; follows a more minimal and material UI approach but its response time and fluidity still could use some improvements. OPPO F11 Pro draws power from a 4,000 mAh battery cell which lasted for one full day on a moderate to heavy usage. The phone also supports VOOC 3.0 fast charging, which is slightly less effective than the company's super impressive Super VOOC fast charge technology seen on R17 Pro. The 20W charging adaptor managed to refuel the 4,000 mAh battery unit from 0 % to 39% in about 30 minutes, which is sufficient. The phone ships with a microUSB port and not the latest Type-C port which is a bummer. Even the Vivo V15 Pro also skips the Type-C port to incorporate the company's fast charge technology. 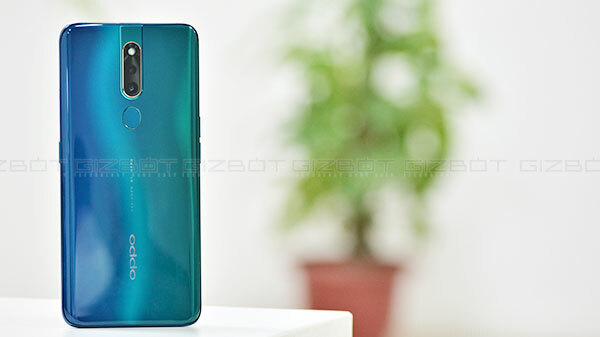 As far as connectivity is concerned, OPPO F11 Pro has Bluetooth, Wi-Fi, hybrid SIM card tray to offer support for one nano-SIM card and one microSD card or two nano SIM cards at the same time. There's a lot to like about the OPPO F11 Pro; however, the smartphone faces tough competition from rival brands such as Vivo (V15 and V15 Pro), Xiaomi (Redmi Note 7 Pro and Poco F1), Samsung (Galaxy A50), Asus and Honor. The F11 Pro stands out because it offers pop up selfie camera, appealing design, impressive edge-to-edge display, and long-lasting battery life. The rear camera is very capable but fails to offer best-in-class performance in real life when compared to rival handsets. Besides, the company has made some notable changes in the software but once again it does not feel as snappy as other custom skins offered by rival Chinese brands. As far as hardware is concerned, OPPO F11 Pro works on MTK P70; the same CPU that can also be seen on the recently launched Realme 3 budget smartphone and now with Vivo V15 which retails at Rs. 23,990. I believe that Vivo V15 is the biggest threat to OPPO F11 Pro. It offers a 32MP pop-up selfie camera, similar edge-to-edge display, same CPU, snappy software, similar battery life and triple-lens camera setup at the rear panel. It is also worth mentioning that Xiaomi offers last year's flagship Snapdragon 845 CPU in sub 20K price point with its Poco F1 smartphone. These two handsets make it really tough to recommend the F11 Pro in sub-25K price-point.